John Rigor Leano was born in the Philippines on July 25, 1907. 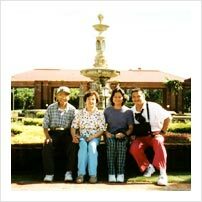 After growing up in Candon, IIocos Sur on the island of Luzon, John emigrated to the United States of America in 1926 at the ripe age of 18. He worked various jobs in Alaska, Washington and California. While John was growing accustomed to the American way of life, the woman he would eventually marry was many thousands of miles away, across the Pacific Ocean. Preciosisima Ador Rivera was born in the Visayan region of the Philippines in Borongan, Eastern Samar on July 1, 1922. Preciosisima came from a large family that included seven brothers and one sister. In spite of this overwhelming disparity, she managed to have a healthy and normal childhood and became a school teacher. With Japan threatening to seize control of the Philippines during World War II, the United States military drafted Filipino men who were living in America. John was among those who were called upon to serve their new homeland with pride and honor. The First Filipino Infantry of the United States Army was formed and John's regiment was sent to Samar to combat Japanese forces. It was during this historical and perilous time that Preciosisima first met John. The Japanese were defeated and World War II came to an end. John returned to the States and began intense correspondence with Preciosisima. After the exchange of numerous letters, John went back to the Philippines to embrace fate....to fulfill destiny! 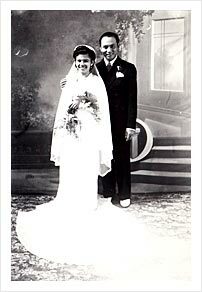 Preciosisima and John were married on May 16, 1948 in Borongan, Eastern Samar. They have been blessed with four children: Gil, Johnpre, Jeanette, and John Gil. John and Preciosisima are retired and reside in the Los Angeles area of Southern California. John is an avid sports fan who finds time to keep up with current events. He also enjoys taking naps and eating snacks. Preciosisima has fun baking, gardening and doing word-search puzzles. She also enjoys hugging people. Jeanette has been a registered nurse for way too long and is contemplating early retirement. John Gil has been a bachelor for way too long yet manages to have a busy and balanced life. Johnpre and Gil received their heavenly reward in 1951 and 1966 respectively.